Japanese companies have invested over US$ 258 million in 25 enterprises operating out of the Thilawa Special Economic Zone beginning from November of the 2014-201 FY to July 2016, according to state media quoting the Directorate of Investment and Company Administration. The total invested amount in the Thilawa (SEZ) is currently US$830 million from 14 foreign countries. Singapore which tops the list with investments totalling US$ 372 million in 18 enterprises, Hong Kong with US$ 38 million in five enterprises and Thailand with over US$ 60 million in seven enterprises, UAE with over US$15 million, Panama with over US$13 million, China over US$12 million, Malaysia over US$9 million, South Korea over US$ 8 million, Australia US$7 million, Vietnam US$6 million, Brunei US$5 million and Taiwan US$4 million. 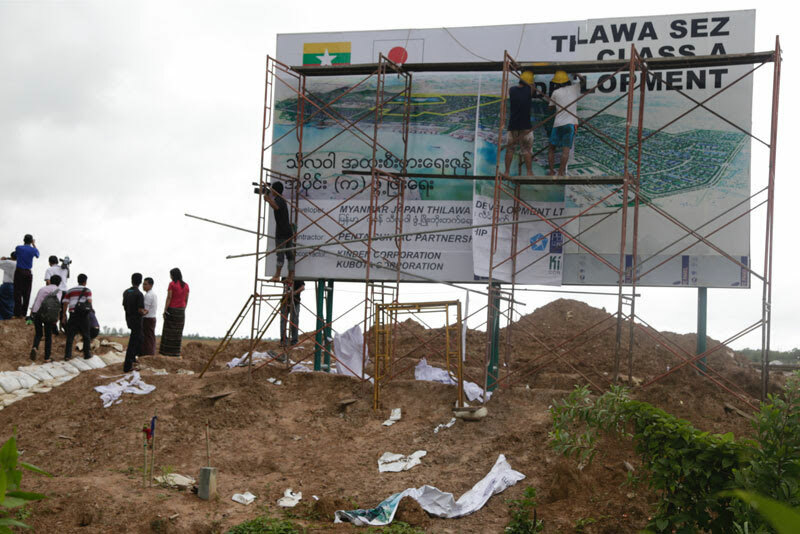 The Thilawa Special Economic Zone, located on the outskirts of Yangon,was the first Special Economic Zone (SEZ) built in Myanmar, and became commercially operational in September 2015.